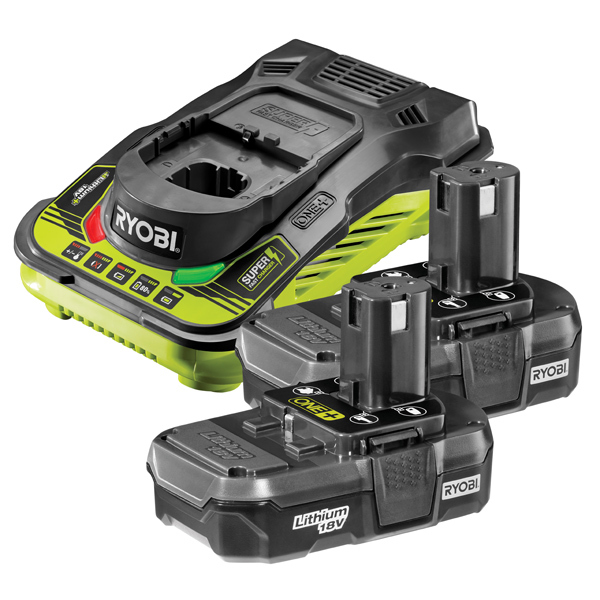 2 x 18v Li-ion 1.3 Ah Lithium Plus Battery with Super Charger compatible with all Ryobi One Plus Garden and Power tools. Intellicell technology monitors and balances individual cells to maximise run-times, storage life and safety. Tough pack design with built in impact protection for long term durability.